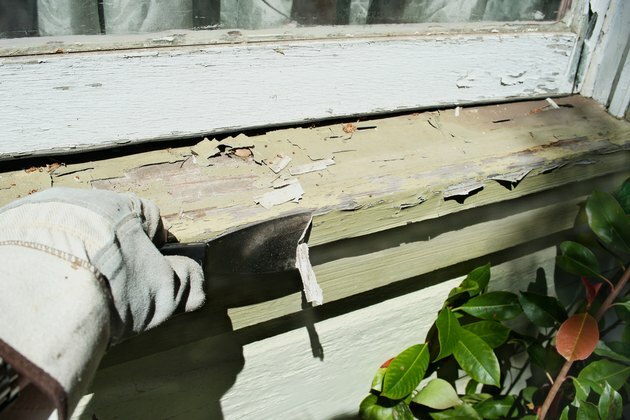 Painted windowsills, both inside the home and out, begin to crack and peel after years of wear and tear and exposure to moisture. 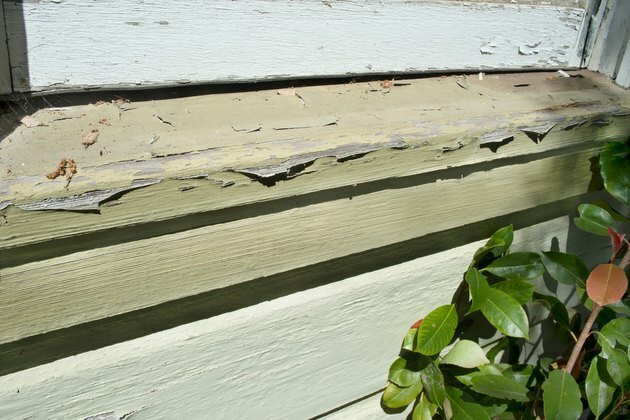 This small problem gives a home an old and unkempt appearance. A little scraping, sanding and painting, and the windowsills will look like new again. Use a putty knife or a paint scraper to remove the peeling and cracked paint. Sand the surface with a 100-grit sanding sponge. Switch to a 220-grit sanding sponge to finish off with a very smooth surface. Cover any areas you do not want to get paint splatters on with a plastic drop cloth. Apply a layer of latex primer paint with a paintbrush. Allow 2 or 3 hours for the primer coat to dry. Apply two coats of semi-gloss interior paint if you are painting an inside windowsill. 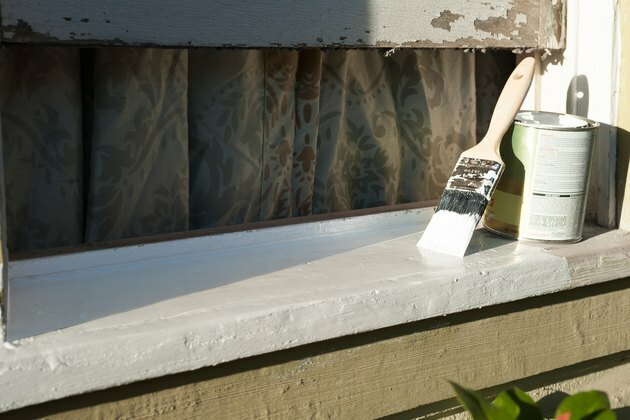 Use a semi-gloss exterior paint for an outside windowsill. Allow a few days for the paint to dry and cure.